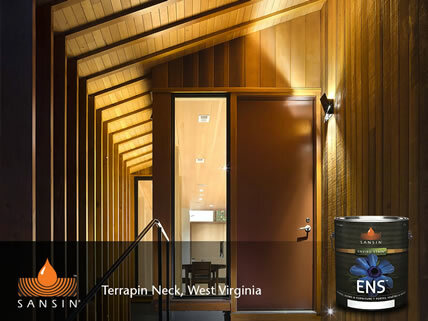 Award winning Terrapin Neck house utilized Sansin’s SDF and ENS Naturals Topcoat to protect and beautify the Douglas Fir exterior delivering a warm, rich hue – and enjoyment for years to come. 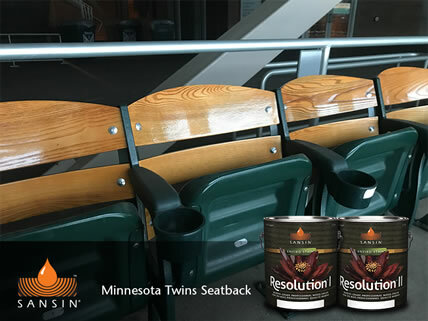 Play ball this season at the Twins stadium and check out Sansin’s Resolution system on their seatbacks. Resolution is a marine grade finish for brilliant clarity combined with chemical, scratch and water resistance. Need tips on preparation and application? Durable, naturally weathering two-coat finish with tough UV protection and resistance to wear. Specially formulated, penetrating finish for log homes and timber-frame structures. Durable, beautiful two-coat finish with tough UV protection, excellent adhesion and resistance to wear.